Baybars Altuntas: It is highly risky to invest in a start-up as an individual. Through collaboration, angel investors reduce that risk. There is light ahead on the tough, dark road faced by local entrepreneurs, with the launch of the South African Business Angel Network (SABAN), a professional association for the early stage investor community. SABAN is part of the African Business Angel Network (ABAN), a pan-African non-profit organisation founded to encourage and support the development of early stage investor networks across Africa. 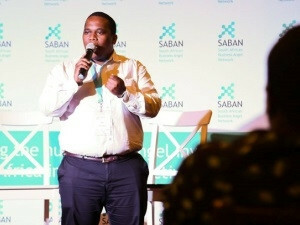 Following the Johannesburg debut in August, SABAN launched in Cape Town last week. The creation of an angel investment ecosystem relies on successful networking. SABAN co-founder Chris Campbell said the organisation aims to provide a link between the local entrepreneurial ecosystem and investors, and grow a body of investors that can benefit from the strength of networking and collaboration. Campbell is an SA-based entrepreneur who decided to replicate the work of EBAN (European Business Angel Network) in South Africa. "The association will be set up as a trust, registered as a non-profit organisation. It will be an industry body which aims to galvanise and grow angel investment in South Africa. 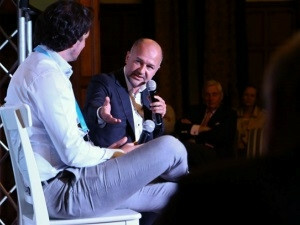 The keyword is collaboration - the creation of an angel investment ecosystem relies on successful networking," he said. Speaking at the Cape Town launch event, World Business Angel Investment Forum chairman Baybars Altuntas said business angels use private money to invest, while venture capitalists use the funds of the organisation they represent. Mvi Hlophe: In South Africa, more money is chasing fewer deals. "There is strength to be gained in working together, particularly through a collaboration of minds and experience. It is highly risky to invest in a start-up as an individual. Through collaboration, angel investors reduce that risk," said Altuntas. "Knowledge, mentorship and networks differentiate business angels from other investors - they contribute their know-how, provide mentorship, and share their own networks to give the start-up the injection it needs. Angel investors are not just providing money, they supply smart finance." Altuntas referred to business angels as the leaders of the world's early-stage investment market. "In 2015 alone, about 300 000 angel investors in the US invested more than $25 billion in start-ups and SMEs. In Europe, it was EUR6 billion for that same period. It is estimated that the global market worth of angel investment already exceeds US$50 billion annually," said Altuntas. Private equity investor Mvi Hlophe said increasingly in South Africa, more money is chasing fewer deals. "South Africa doesn't have the pipeline of quality entrepreneurs being funded at the seed capital stage. 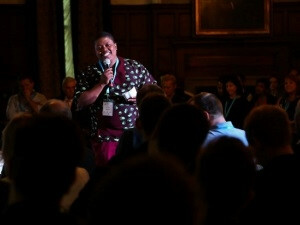 Angel investment bridges that funding gap," said Hlophe. Vuyisa Qabak: Talent should never have to look for money. Entrepreneur and SABAN advisor Vuyisa Qabaka believes that while the supportive environment for entrepreneurs in South Africa is gradually growing, the country needs more risk-takers to put money together towards talent. "Talent should never have to look for money. Talented people with great ideas should be able to have a few conversations with the right people, in order for money to come to that talent. In South Africa, the access between entrepreneur and investor has been limited. Through SABAN, that gap will be bridged," said Qabaka. South African business woman and angel investor Audrey Mothupi sees the greatest potential for angel investment in South Africa in the financial technology space. "What has been missing in our country's entrepreneurial ecosystem has not been the creative ideas, energy or passion, but collective engagement. If SABAN can create the networking links across South Africa, we can partner and engage the African and European business angel networks to share ideas and ways to create even more opportunities for investment and for the creation of wealth for all," said Mothupi.